Columbia University School of the Arts’ Digital Storytelling Lab (DSL) presents Story I/O (input/output) a FREE immersive symposium that mixes thinking & doing. We’re excited to announce the first edition of Story I/O, the Digital Storytelling Lab’s annual symposium that explores new forms and functions of storytelling. 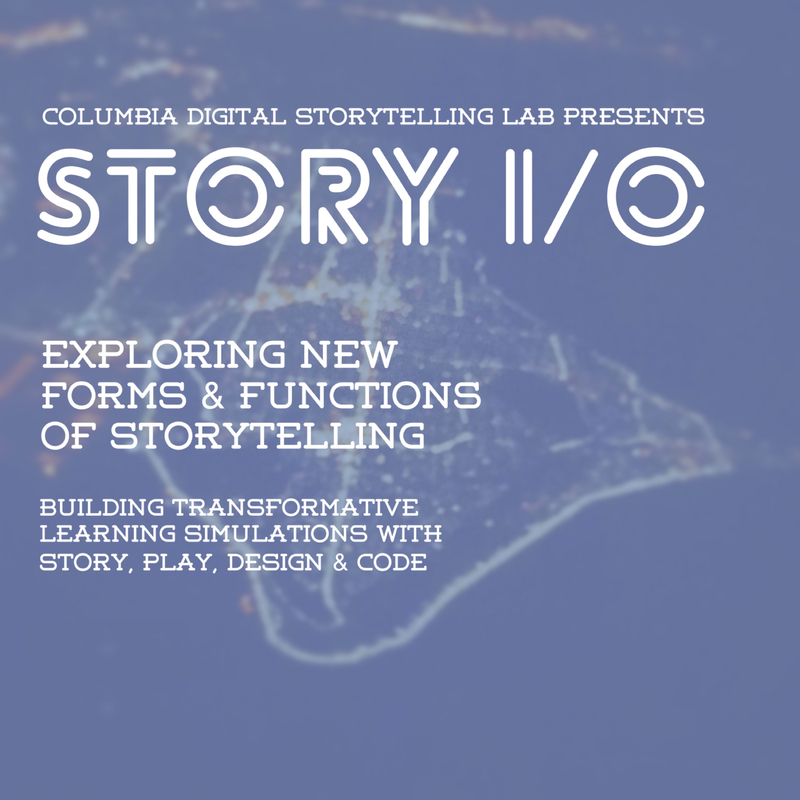 A highly interactive one-day event, Story I/O embraces methodologies we use at the Columbia Digital Storytelling Lab to create collaborative spaces where we work together to create impact around complex, global challenges. We’ve designed Story I/O to mix theory and practice. To that end, we will convene a highly diverse group of participants from across the University and outside it in collaborative discussion and action that will have us designing and prototyping immersive storytelling simulations for understanding and care. Our partners for the day are Columbia University School of the Arts, Teachers College, the Urban Design program and Barnard College. The event is limited to 90 participants – Due to space limitations we’re selecting attendees based on a simple application process, and will be accepting applicants starting after Labor Day on a rolling basis.